I know most of you are not bloggers, so I typically don’t write too often on here about blogging and how to do it, but I get questions pretty regularly from people who want to do what I’m doing for extra income or just to have a fun hobby with some perks. Since I shared that I got laid off from my job last spring and was going to be relying on consulting and blogging income- which sparked some emails and DMs with folks wondering how to be able to do that themselves. 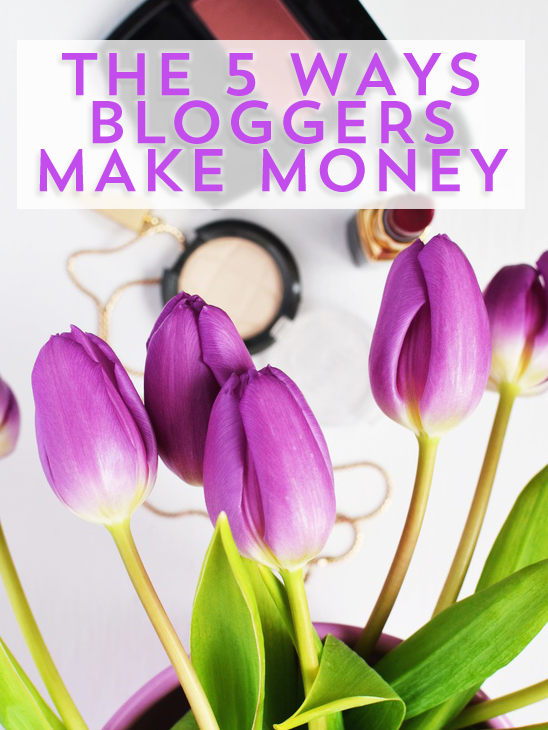 Bloggers monetize in a variety of ways, but here are 5 of the most common and current strategies for making money by blogging. You can see display ads in my sidebar, and in the sidebars of many bloggers out there, but not everyone uses them to make money. The most well-known display ad network is Google Adsense, but you can also get ads through networks that do sponsored blog posts like BlogHer, Martha’s Circle and RhythmOne (formerly Burst). Display ads come with a variety of restrictions depending on the network- some require that you only have one ad, no competing networks, and that the banner ad is above the fold. For display ads, you get paid for both impressions and clicks. 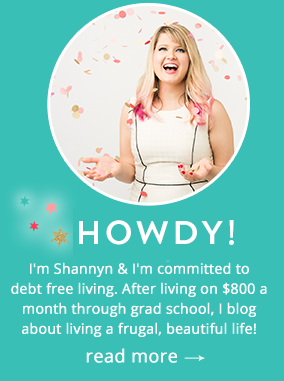 Do bloggers make a ton of money with display ads? It depends. A blogger with about 100,000 pageviews can make $200 a month based on impressions along (since click-thrus vary). If you’re under 100,000 pageviews, you may only be making pennies. I think it also goes without saying- if there’s a blogger whom you absolutely love and you see one of those ads in their sidebar that responds to your search traffic or is animated, click and support their ads when it fits and the ad is relevant to your interests…it helps them pay their bills! Display ads don’t pay as well as they used to, but some bloggers do pretty well with them. For some bloggers who do a lot of product reviews, roundups or talk about credit cards (such as for travel bloggers), doing affiliate sales can be a great way to monetize. Often, for fashion bloggers- they can earn 5-8% or greater for any fashion or accessory items that a reader purchases using their links- but if an item is only $15-20, they could only be earning sixty to seventy cents on an order. Bloggers use services like Commission Junction, rewardStyle and Linkshare (Rakuten). Travel bloggers and financial bloggers can also earn affiliate sales from products like credit cards, bank accounts and insurance sign-ups. Some bloggers are more successful at this than others- fashion bloggers with giant audiences can do well. Tech bloggers though, are the ones that come to mind, since even with only a few sales, a 5-10% cut of an $800 camera order can add up fast. You’d be surprised though- there are some offers that convert really well, even on smaller audiences, it really just takes some experimentation and a good payout or referral credits. Bloggers are always supposed to disclose if product, payments or even discounts were provided. Brands will pay for a blogger’s time and creative talents to give feedback or cover a product launch, simply to raise awareness about their products. Brands are clamoring to work with bloggers for sponsored blog posts, press trips (which are sometimes paid or unpaid), sponsored tweets or Twitter Parties. Some bloggers, like myself, have leveraged their experience and expertise to use their blog as a platform to get consulting or freelancing gigs. This can include, working as a social media manager for a brand who has partnered with you on your blog, freelance writing, ghost writing, or even building your own freelance photography business. My experience as a blogger helped me land my last full time social media job, but also has helped me get social media consulting clients on my site, CakeMix Media. Some of my blogger friends make a very lucrative living – you can read Michelle of Making Sense of Cent’s income reports. She has ads, sponsored posts, and freelance writing which has replaced her full time job income. Bloggers start making products and apps, and some have made killings doing so. A Beautiful Mess is a blogger turned brand who has not only done an app, but has classes and a store where she sells crafting supplies. Other bloggers like The Oatmeal have created products and a virtual run (I am doing the race and have his Blerch socks!). How Joyful was my first site designer, and now has her own shop which is over the top fabulous. Ready to start a blog of your own? You can do it for as low as $4 a month for hosting and register a domain for around $10.99 a year. Read more on how to start a blog for sidehustle income! I get asked this question all the time too. People I talk to about it in person are always surprised at how people can make money by blogging.